We might be in the depths of winter right now and New York fashion week AW16 is currently happening, but as far as fashion is concerned the Spring/Summer 2016 season is almost upon us and stores have already started dropping new season pieces. A trend that is hardly new but one that is easy to covet, SS16 looks to be full of the slip dress. Slinkier than ever and featured at the likes of Burberry, Celine, Pucci and Saint Laurent this trend will be a sure hit when the weather gets warmer. Fancy trying it out now? Layer a slip dress over a knitted jumper. Gingham is the pattern of the season. From gingham at Stella McCartney and Victoria Beckham to English menswear tweedy checked suiting at Celine. 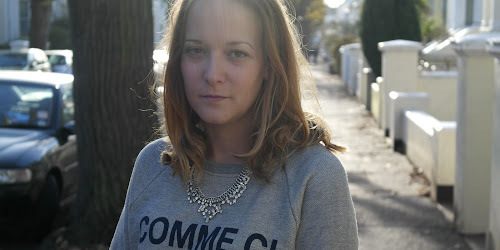 This trend can be worn head-to-toe or with simple separates. Designers definitely brought the rave to the runway for SS16 with neon flashes and acid brights. 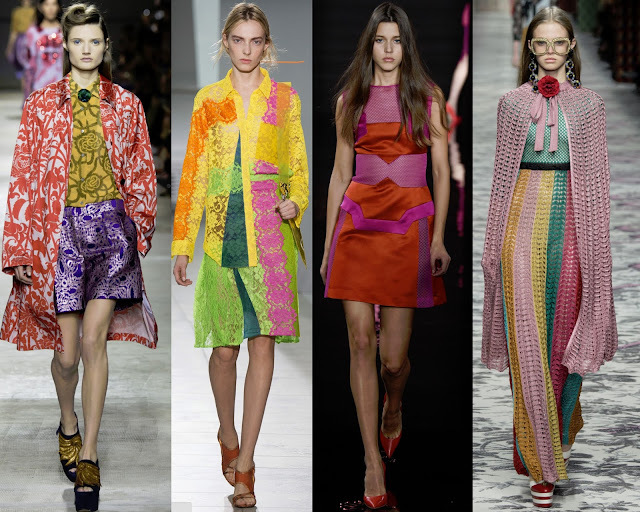 Colour clashes in single looks seemed to be the highlight at the likes of Christopher Kane and Gucci. It's all in the detail for this trend - SS16's big romance played out at across many runways, as ruffles became a key detail trend. A well placed ruffle is very feminine. Designers such as Michael Kors, Prabal Gurung, Roberto Cavalli took this trend on, and I can't wait to see how the high street interpret it as, I am all over this trend. 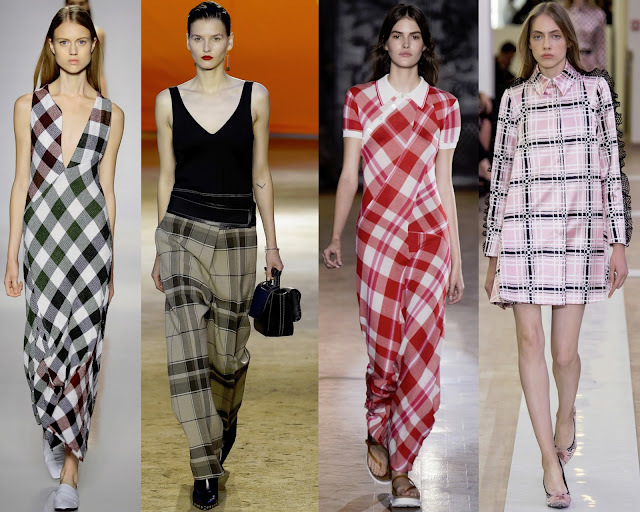 So, there you have it, four of my favourite trends for SS16. What trends stood out for you and what are you looking forward to coveting for the new season?